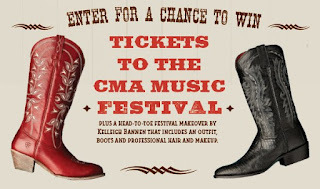 2016 Boot Barn CMA Fest Giveaway! You can sign up for a chance to win CMA Fest passes and a head to toe makeover by Kelleigh Bannen! Sign up for this great giveaway here!